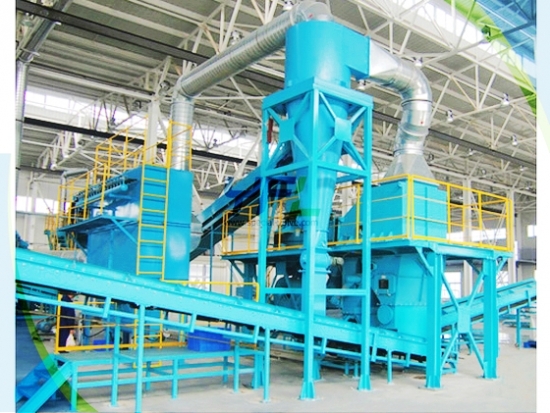 The HC Air classifier is widely used in plastic recycling line, tire recycling line, MSW recycling line, WEEE recycling line to separate the final desired products from other materials. 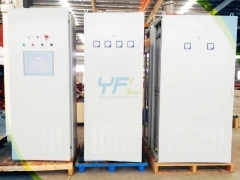 Safe operating, high efficiency and low maintenance cost. The materials are first delivered through delivering devices like lifting machine or belt conveyor to the hopper. Then through the adjustable stock plate, the hopper conveys the materials to the vibrating feeder. 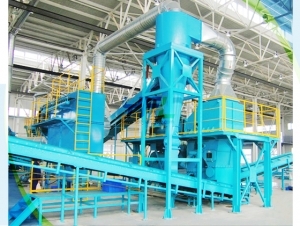 The vibrating feeder will evenly distribute the materials to the air sorter, which will separate the desired materials from the other materials through air control by frequency converter.